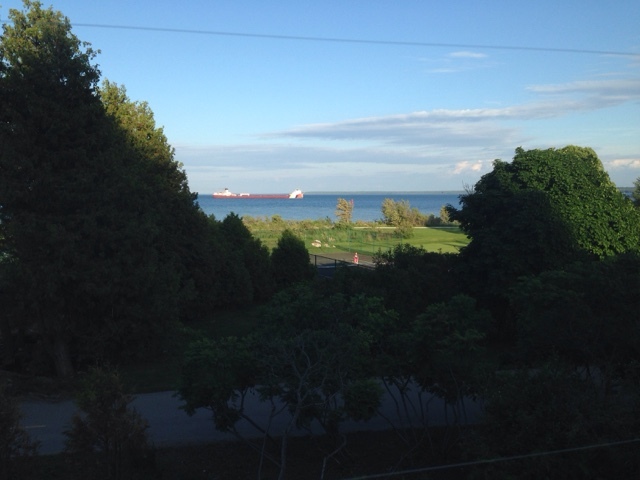 This is our fifth and final post for Mackinac Island Week! Thank you for exploring Mackinac Island with us! We can't wait to visit again soon and see even more sights. 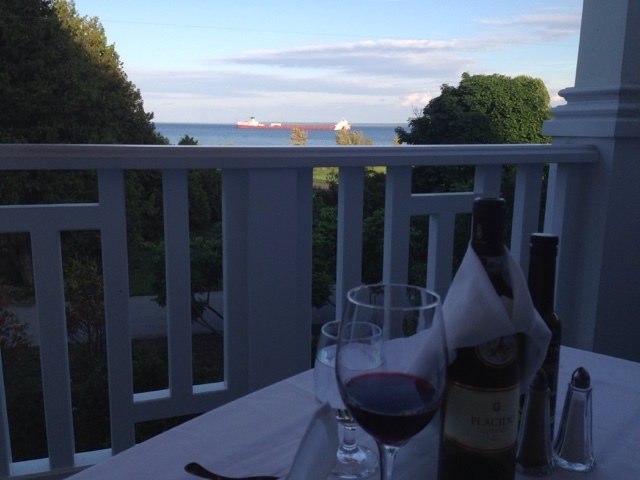 Chianti at Mission Point Resort was a lovely evening with an amazing view. The restaurant is located inside the Mission Point Resort, which was very beautiful and ornate inside. Walking into the restaurant, you are greeted by a beautiful staircase and a grand piano. This is definitely a meal that you would want to dress up for! We started out with some great focaccia with roasted garlic, balsamic oil, and white wine. We requested to sit on the porch, which was private, quiet, and perfect! 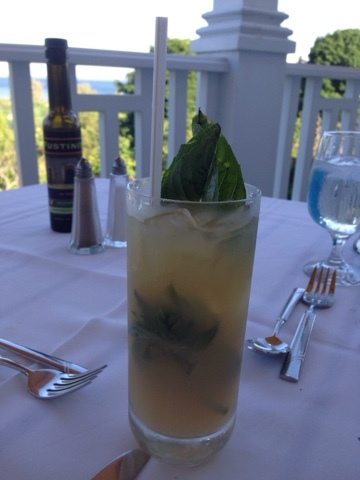 Also, a super refreshing mojito! 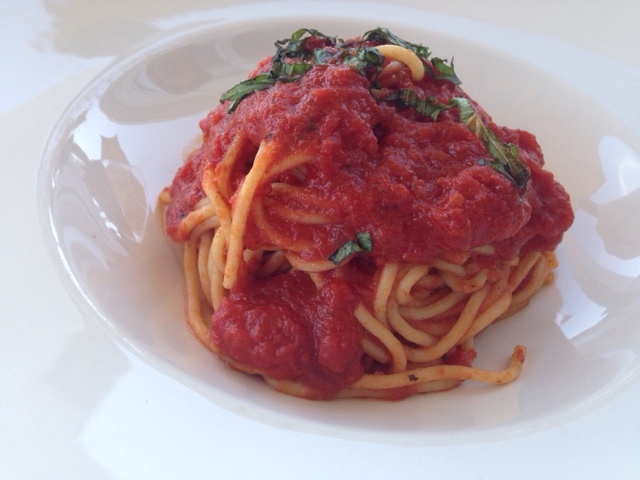 For dinner, we had fresh spaghetti with marinara and fresh basil. 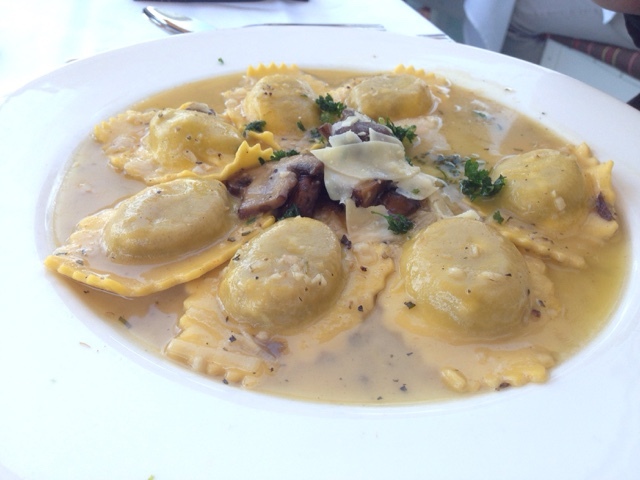 We loved this lemon- parmesan - truffle ravioli. Great flavors! Did we mention the view? The view was beautiful from the porch! Don't forget about the wine! 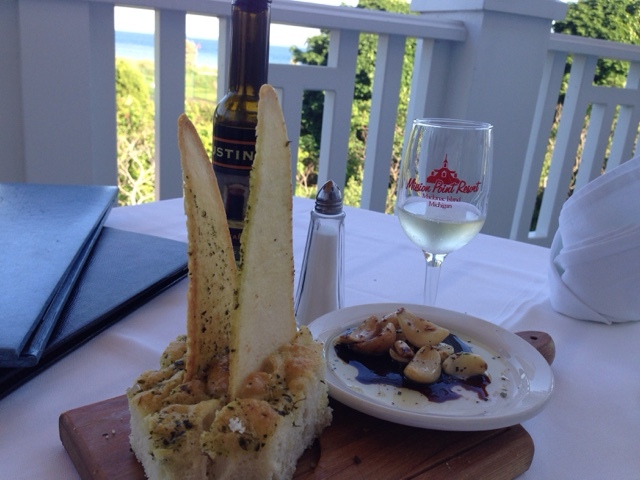 Check out Chianti at Mission Point Resort for a relaxing and beautiful date night! After leaving my home state for seven years, I am ready to Rediscover Michigan. Join me! If you would like to advertise on this blog, please contact rediscovering.michigan@gmail.com!